Apple has posted the terms of its firmware licensing agreement for the iPad, which restricts free operating software updates to the current major reference release. "Apple will provide you any iPad OS software updates that it may release from time to time, up to and including the next major iPad OS software release following the version of iPad OS software that originally shipped from Apple on your iPad, for free. "For example, if your iPad originally shipped with iPad 3.x software, Apple would provide you with any iPad OS software updates it might release up to and including the iPad 4.x software release. Such updates and releases may not necessarily include all of the new software features that Apple releases for newer iPad models." The new policy shifts from the original iPhone update model, which deferred accounting of iPhone revenue in order to provide long term, free firmware updates. The iPad license harmonizes with the iPod touch model, which charges a nominal fee for each major reference release of the iPhone OS. Other smartphone operating systems have either found it impossible to charge for updates (as Microsoft did with Windows Mobile), or deliver complex and sometimes dead-end update mechanism that rely on an alignment of manufacturers, carriers, and specific models. This often makes it difficult for users to download an update for their phone until months after it is actually released. 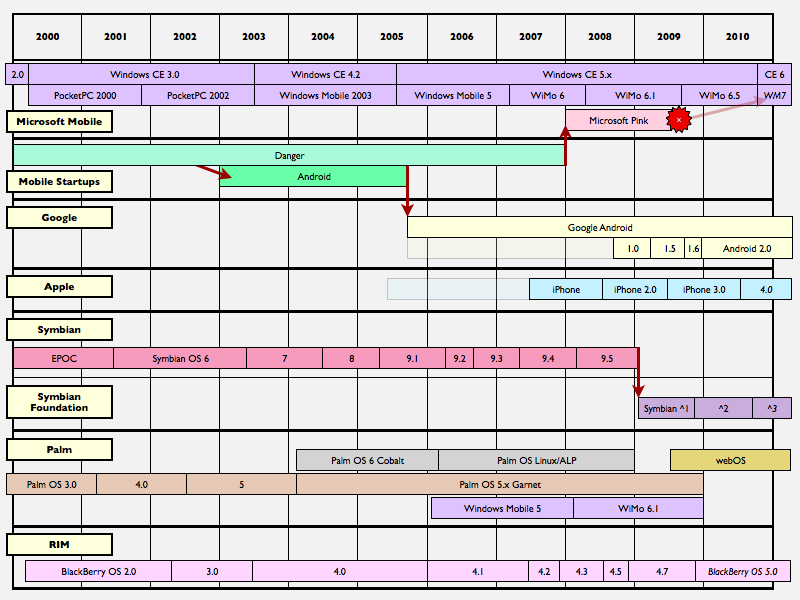 The original Android G1 was physically unable to upgrade to the next major version of its operating system, and Microsoft has similarly cut off its installed base from upgrading to the latest version of Windows Mobile repeatedly, citing minimum hardware requirements in WiMo 5.0, WiMo 6, WiMo 6.5, and now the WP7 platform planned for release at the end of 2010. Apple's regular updates of the iPhone OS, including minor updates throughout the year and significant new features that debut each summer with a new reference release, have kept the iPhone OS platform fresh and competitive and played a major role in creating third party support behind the App Store. Apple's cohesive software platform spanning the iPhone, iPod touch, and now the iPad has also created a strong position for the company, which is unmatched by rival smartphone platforms that are only focused on one type of device, and therefore one type of user.